The Chicago Metallic line is the preferred choice of bakers who understand quality and design,but also want professional-grade durability. The line’s non-stick surface lets you easily release each recipe and effortlessly clean-up afterwards. The Chicago Metallic line of bakeware makes cooking and baking a delight. 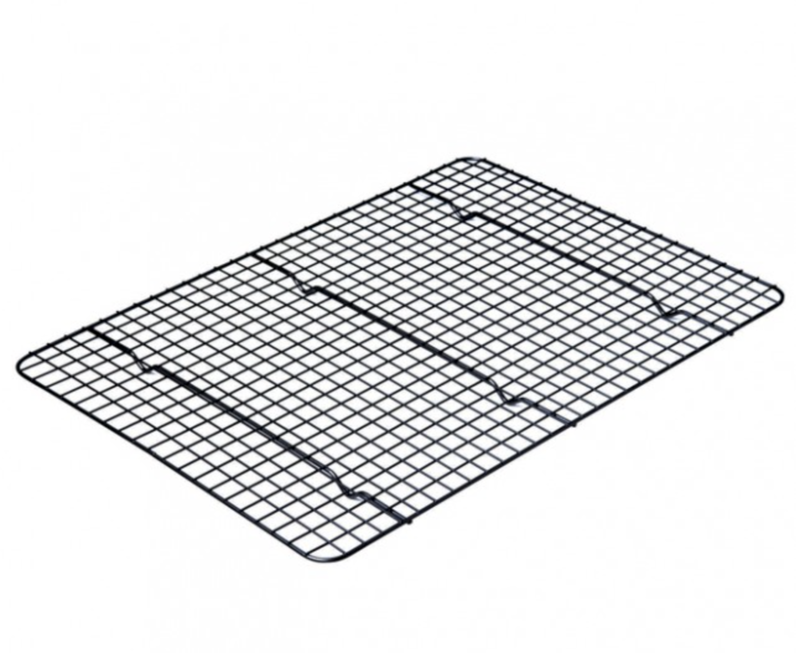 This perfectly elevated cooling rack ensures proper cooling for professional results for all your baked goods, and its grid pattern design prevents delicate pieces from falling through the cracks . Before use, wash pan with warm, soapy water. Sharp-edged utensilsand knives should not be used. Avoid using scouring pads and abrasive cleaners. Usually a soft sponge or kitchen brush will remove baked on food particles. Sometimes it may be necessary to scrub lightly. Dry thoroughly before storing. This product is dishwasher safe, however hand-washing is recommended to extend product life. safe to 450°F / 232°C. It is not intended to be used under the broiler. 25 Year Limited Warranty Chicago Metallic warrants pan to be free of defects in material and workmanship during normal use.